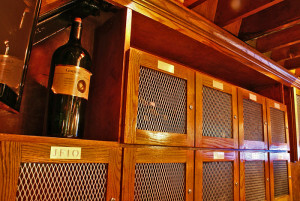 The ROC Wine Locker Club is a private membership of wine connoisseurs. Joining is by invitation only. Members are able to enjoy their own wine locker in which they can choose their wine, and have it held at The ROC until the next time they come and join us for dinner. Members are able to bring one guest and enjoy private events put on by The ROC. Please be sure to ask about it the next time you stop in.